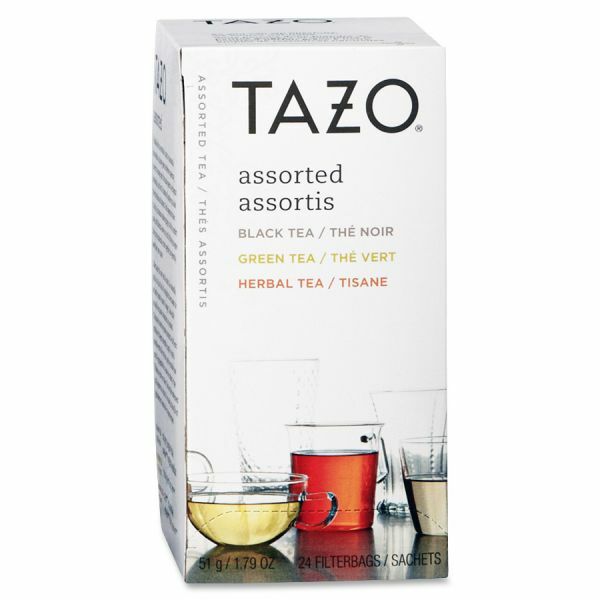 Tazo Assorted Tea - Tazo Teas are made from extraordinary teas and herbs that are specially blended and individually packed. Assortment of tea bags includes green and black teas: Awake, China Green Tips, Earl Grey, Chai, Passion, Decaf Chai, Wild Sweet Orange, Lotus and Zen. Tea delivers an enchanting, light and clean taste. 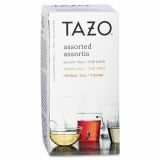 Tazo is kosher certified by KSA. Individually wrapped tea packets are easy to use.